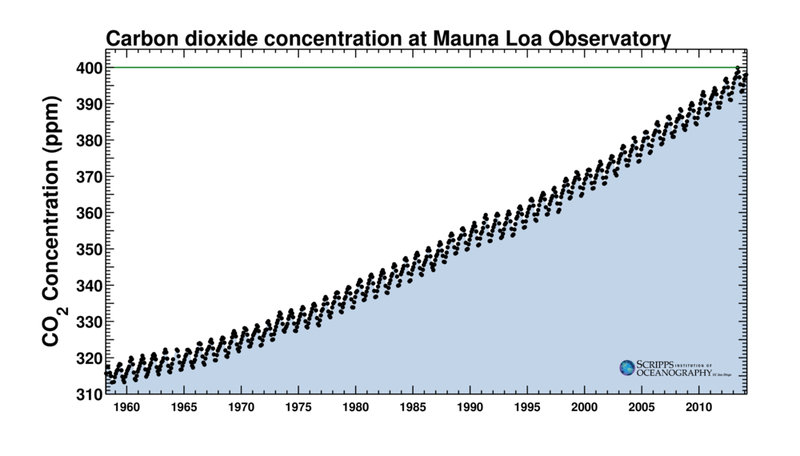 This curve shows how much the global environment is improving for the existence of life, due to enrichment of the atmosphere of the natural organic fertilizer carbon dioxide. Basically, it is a curve which shows how much and how strong life can exist on the planet – the higher the curve goes, the more life and the more resilient life becomes to natural climate change. It’s like a curve of money, of your investments, except it is the investment in the existence and quantity of life itself, i.e. the biosphere. The more money you have the better, i.e. the more natural organic atmospheric life-fertilizer you have, the better for life, the larger and stronger the biosphere. Except for deranged anti-humanists, anti-environmentalists, the neo-Abrahamist “powers that be wet dreamers”, for some paradoxical and insane reason it makes them feel very alarmed and it creates in them the desire for more taxes to ease the angst of their alarm! Gallery | This entry was posted in Carbon Positive Campaign and tagged biosphere, carbon dioxide fertilizer, global environment, keeling curve, natural climate change, natural organic fertilizer. Bookmark the permalink. CO2 is majestic. CO2 reacts in sunlight to make leaves appear green during photosynthesis, it’s the true “green fuel”. Mankind’s effort to reintroduce “fossil fuels”, what was once life, back into the carbon cycle is remarkable. (Would that be turning an inorganic compound “organic”?) You’re right, the splendor of this Oil Age, that has powered the last 100 years of human advancement, has the life-supporting byproduct of increasing the levels of atmospheric CO2. CO2 that has value, but that is also distributed freely about the globe. The grazing pastures of Mongolia have the same access as corporate farms. “Except for deranged anti-humanists, anti-environmentalists, the neo-Abrahamist “powers that be wet dreamers”, for some paradoxical and insane reason it makes them feel very alarmed and it creates in them the desire for more taxes to ease the angst of their alarm”! Just to pick on you, ‘couse it is fun. Atmospheric CO2 Is quite independent of what stupid earthlings imagine! Atmospheric CO2 may be beneficial to some plants, but deadly to some yeast! The only thing that earthlings can now, do is to admit “I know knodding”!!! Then try to learn, from what is, while carefully discarding “all” your “tink wad is”! Most POVs, like my POV are useless for understanding of what is. The volume or 4 space integral of all POVs, “may” give some understanding to what is, or even to what is possible! The link to reblog the post about what if we�re all actually in a book doesn�t lead to the right post. New, real science research on volcanogenic CO2 has shown that it has the same 14C isotope depletion as that from burning fossil fuels. Shock for the alarmists because the research also discovered that volcanlgenic CO2 is produced at a higher rate to FF burning. So we now have no idea how much CO2 we actually place into the atmosphere. That is really amazing and interesting! The fact that the perfect “Eden” was considered a tropical garden paradise should say a lot about what is really the ideal climate for mankind.